■Information for people living in Sakado City, Moriyama Town, Kawagoe City. When using "bathing supplement tickets" issued from each municipality, usually 200 yen discount from adult fee. For details, please contact each municipal office in charge. ■Student Discount Available.When we present your student ID card we will give you 100 yen discount on bathing fee. If there is no student ID it will be out of the subject of the discount. Premium Wednesday When entering at an adult rate,service points 3points! you will receive Free Ticket on Weekday. ■If you make 20 points, you can use it as a free ticket on weekdays. 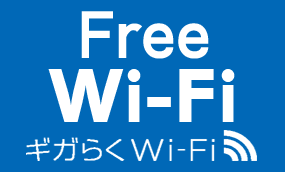 On Saturdays, Sundays and public holidays you can use it if you add 100 yen. ■It can be used the next day after 20 points. ■Expiration date is one year from issue. It becomes invalid after expiration date. ■Shampoo and body soap are installed in the bathroom. ■Bringing in food and drink to the hall is forbidden. ■Entrance to those with tattoos, tattoo people (including fake tattoos), organized crime group officials, drunk people, those with skin-borne diseases is strictly prohibited. ■Pets are not allowed in the hall. ■Although it is open every day of the year, there are times when you get a closed day for maintenance. In that case we will announce you on the website or in the hall. ■Bathing of those who can not control excretion is refused.